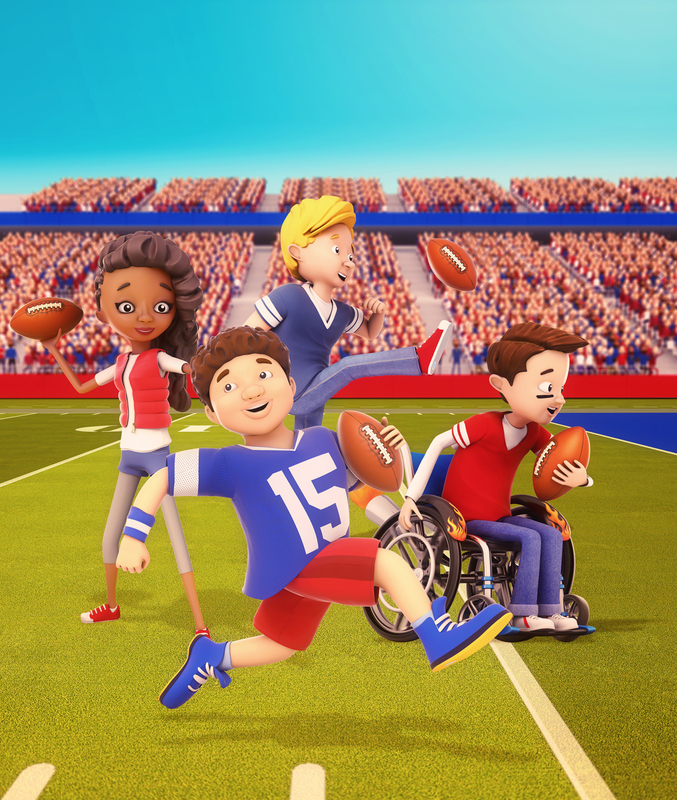 After the great success of last year’s NFL Super Bowl campaign, Milky Tea was asked to build on the campaign by creating additional 3D character illustrations for the NFL Super Bowl 50 Experience. Working alongside US agency Blind Society, the aim was to go one step further this year and create another set of memorable characters, showing the wide variety of people and body shapes that can take part in the NFL Experience. The characters were designed so that they can be adapted and used for multiple print and digital marketing applications. The project involved initially designing the characters in 2D and then working these up into 3D Models which were rendered out as illustrations to be featured in this years campaign. The client wanted a more stylized look this year and Milky crafted a vinyl toy aesthetic, exemplified by each character’s carefully sculptured hair. The characters were created in 3dsMax and Z Brush and rendered with V-ray, with post production applied in Adobe Photoshop and Color Efex. The images below will give you a sense of the characters and the development process. Final group shot of the NFL Super Bowl 50 characters. Concept (left) and Final (right) character art of the Fullback character. Concept (left) and Final (right) character art of the Hot Rod character. Concept (left) and Final (right) character art of the Quarterback character.